Welcome to Brandon and the Keystone Motor Inn. Our hotel was established in 1972 and purchased by its current owner in 1974. It is still under the same ownership today. You will find throughout your stay that we have more to offer than just a comfortable bed. We have a licensed restaurant, a self-serve beer vendor, a beverage room with VLT’s and adult entertainment, lounge and Brandon's only rooftop patio! Choose comfort, convenience, and value! A motel devoted to your total comfort and enjoyment; whether you stay with us on business trips or family vacations, we have the service and location you look for. All of our rates include our continental breakfast available daily from 6:00 am to 10:00 am. 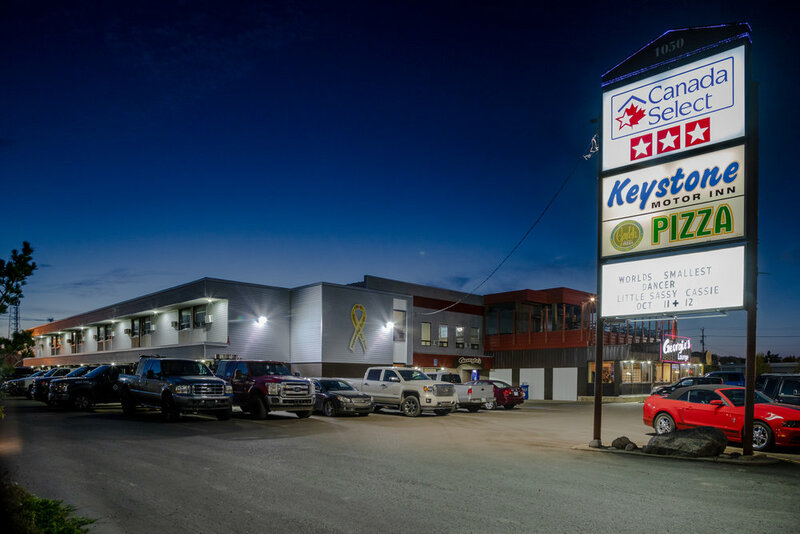 We are located on the "main drag", within walking distance of the Keystone Center. We are also within minutes of the Corral Center, Shoppers Mall, Brandon University, and several mini malls.